This one actually was a request of a friend of mine that wanted me to make a new wall for him that had Hana-chan on it. The hard part was to make an ambient that would fir her O_o Ah well. . .
That's all I guess. Hope you enjoy it. Wow... I really like the sky effect. Love the scan also. Awesome job and adding to favs! But the background is incredible. Kudos for the sky, particularly. adding to favs :D it looks great shadow-san, keep it up! wow, i love the sky effect...it looks so nice and the colors looks so cool! i really like the darkness of this wallpaper. thanks so much for sharing! Wow, the night sky is astonishing! The scenery is beautiful! Good job, and thanks for sharing! beautiful wallpaper ShadowSpirit-san! hana-chan is one of my favorite characters! i really like the background too! keep up the great work! 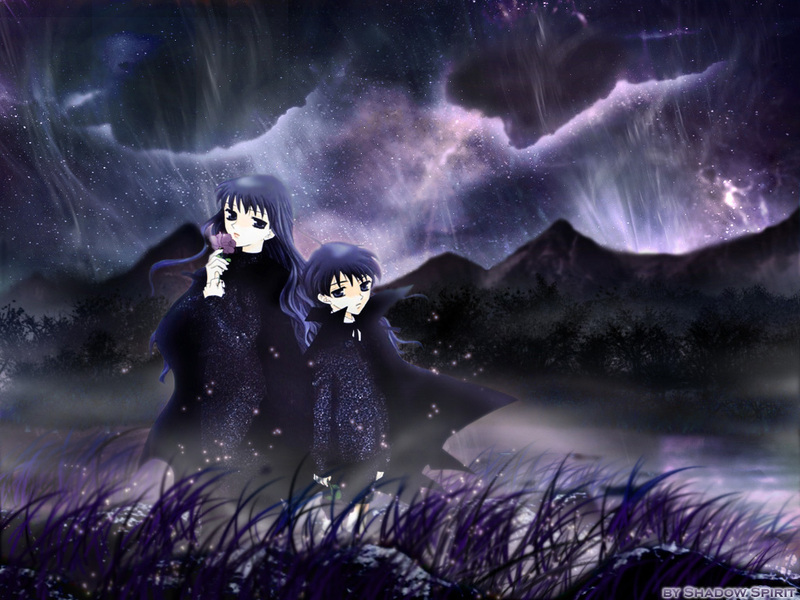 nice wallpaper, the two charas look good and i like the background. the colros are very good. Wow! Nice wallpaper. I love the background it is beautiful! I love Hana-chan! I must add this to favs! Once again, you have made a beautiful sky. The stars and the nebula there looks magnificent. The colors in general are very nice. Brilliant work. you are a wander!!!!! keep up the great work!!! Ahaha thats so cute i love the colours and i love Megumi and Hana-chan. i fall in luv wif this wallpaper the moment i see it. really lovely!!! Adding to favs and n new desktop wallpaper!